After we untied the doc lines, we headed around the corner to Caleta Lobos with the crew from Waponi Woo and a couple of the Tribe boys. So I guess we didn't even really say goodbye right away either...so it was more of a "soft" goodbye before! It was a short one night stay, but we had a great time with friends. 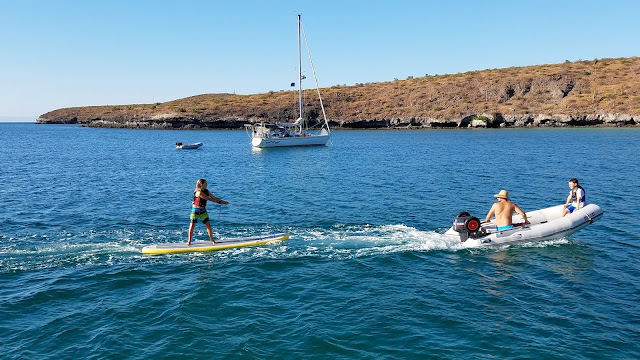 and Eli got in a good run on the paddle board while surfing behind the dinghy.